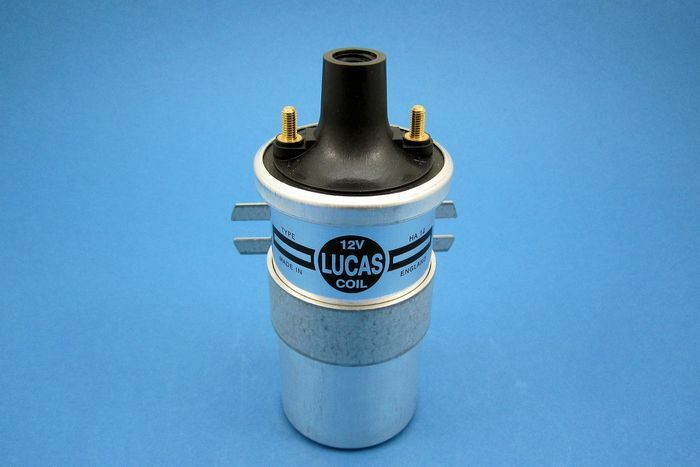 Standard Lucas DLB100 12V Ignition coil with older style screw terminal (acorn) HT connection. Low tension connections are 5mm studs which come complete with spade terminal connections (removable). Primary resistance 3.5 Ohms. 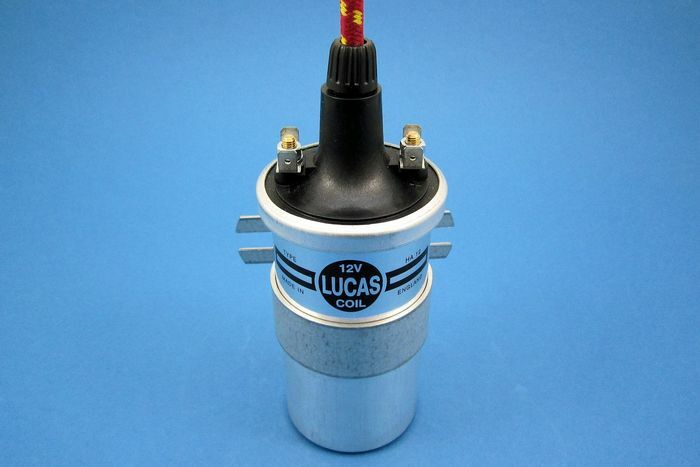 Body diameter 55mm with a cap diameter of approximately 65mm. Total length approximately 150mm (excluding acorn). Suitable brass washers for terminating the HT cable when using with acorn type connectors are 060803. 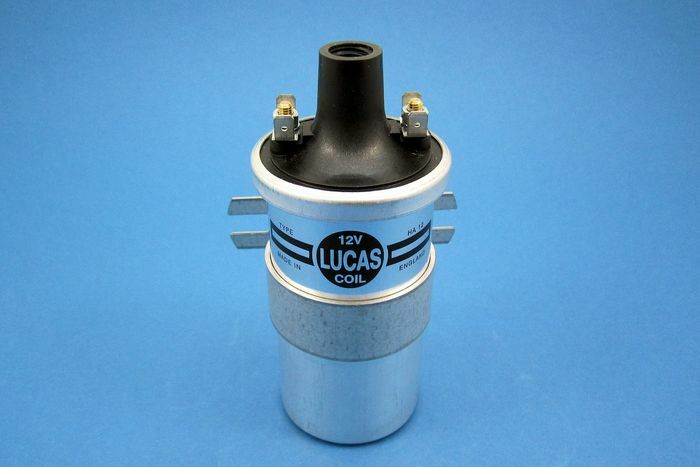 Please note that the acorns are not supplied with the coil and can be found in the Distributor/Coil Acorns section.